The Kensington Conservancy has protected almost 900 acres across 11 properties from harmful development. When possible, our management practices are non-intrusive, mimic natural processes and use the highest quality management conservation science and practices available. This property established in the 1900’s as a working farm, gained the reputation of being a well run, very successful farm. The property was in the Archibald family for almost 100 years. The Kensington Conservancy, concerned about the deteriorated ecological health of the property, the threat of inappropriate land development, and the affect on the neighbouring natural landscape and watersheds, decided to purchase and re-establish the property to its historical condition. After an extensive environmental cleanup, the property has been returned to its 179 acres of natural beauty. 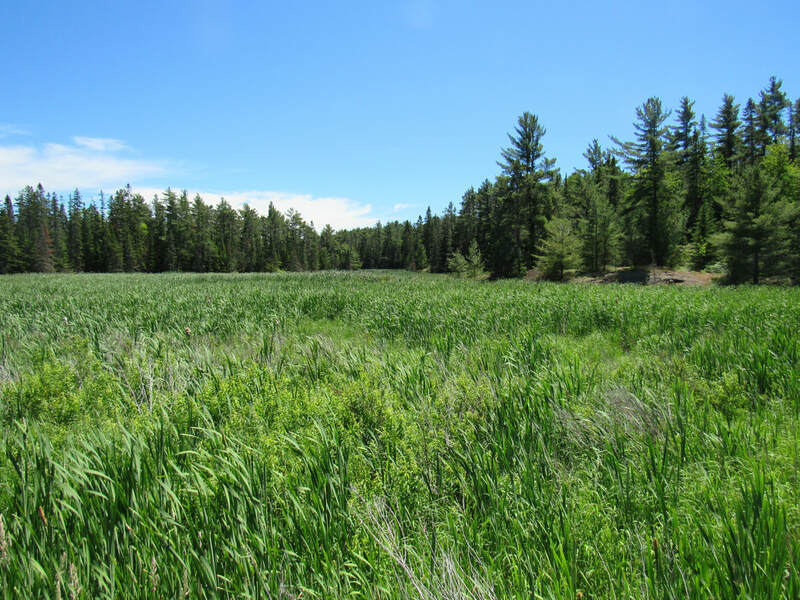 With 2700 ft of beautiful undeveloped shoreline, marshes, wetlands, as well as beautiful farmlands, this property is a perfect place to walk and enjoy nature. It is again a safe and beautiful natural landscape for birds and wildlife. Throughout the Great Lakes, undeveloped shoreline is becoming an increasingly rare resource. The Kensington Conservancy was gifted two, side-by-side, two acre lots on Dawson Island. Dawson Island is a 350 acre island in the St. Joseph Channel. Crown land makes up 60% of the land on this island. The location of these two building lots with crown land to either side secures an uninterrupted shoreline of 2,500 feet, making it a better habitat for local deer, birds and other wildlife. 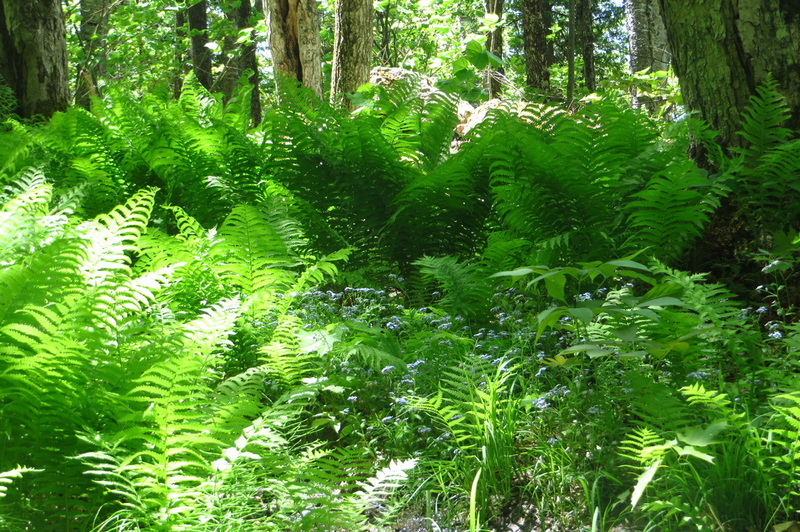 Of special interest on this property are the low, wet areas with a well developed community of shrubs, sphagnum moss and ferns that support many species of warblers and other songbirds. Located to the immediate west of Stobie Creek, a very generous donation of 83 acres was made to The Kensington Conservancy. This property, held by the same family for more than 60 years, was donated to protect its rich natural biologically diverse ecosystems. The Stobie Creek Preserve has old growth forest containing large maple, oak and pine. 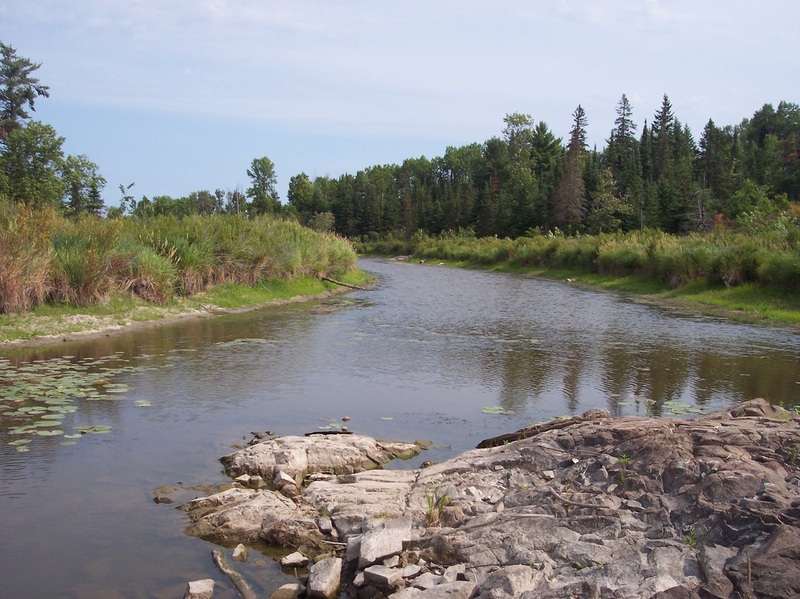 Its designated Provincially Significant Wetland forms the mouth of the Stobie Creek. The Kensington Conservancy has introduced control measures and monitoring of purple loosestrife for this wetland complex within its management plan for the property. 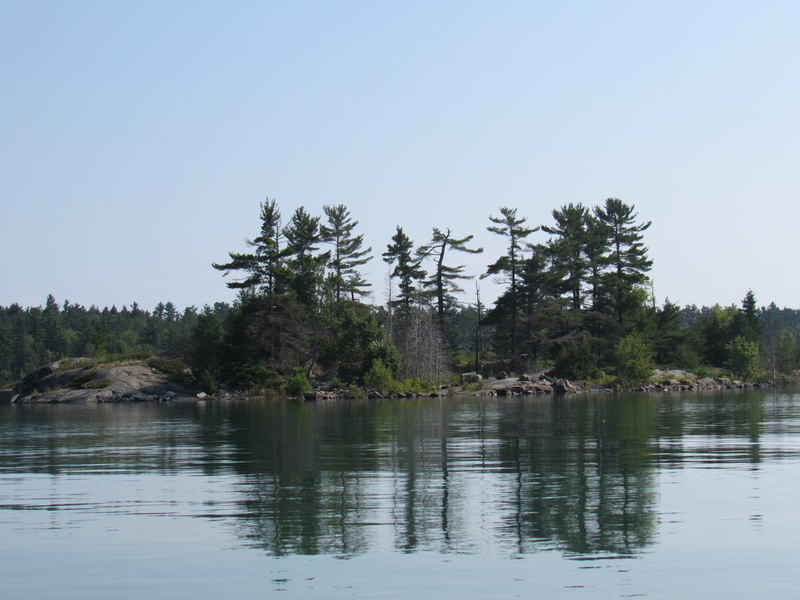 Campement d'Ours Island was purchased in the early 1900’s has since been 100% privately owned. An historical agreement between multiple family owners has preserved much of the island from development. However, there remained a three and a half acre building lot with no structures. This lot had the potential to breakup a continuous, undeveloped shoreline. The owners, wishing to ensure continuous protection into perpetuity of the wonderful biodiversity along its shores, donated this lot to The Kensington Conservancy. It presents a significant stretch of what could have been part of the quickly disappearing scenic beauty along the shores of Lake Huron. The name of this magnificent place seems to bring it a dark spooky image; however, nothing could be further from the truth. This area opens to Lake Huron though Anderson’s Bay. The Anderson Bay watershed supports magnificently diverse ecosystems. 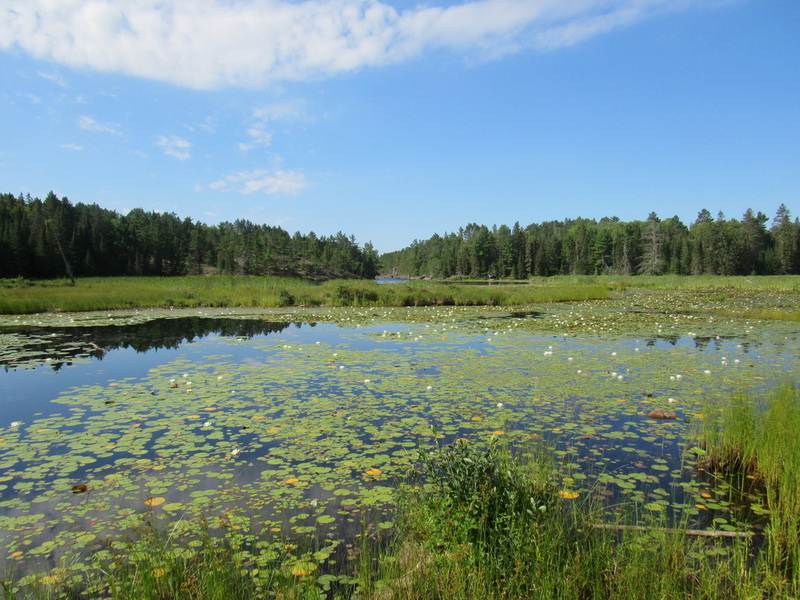 The dramatic head of this marsh, with a narrow cut through the bedrock plugged by a beaver dam, makes the site all that more impressive in beauty and diversity. While direct development is not currently an issue for this property, the impacts of neighbouring development and land use, and non-native species have threatened the health of this amazing place. The owners made the commitment to partner with The Kensington Conservancy to protect into perpetuity this 206 acre natural wonder. This property is perhaps the roughest and hardest to traverse of any that the conservancy manages. Were it not for Highway 17 bisecting it, it would only rarely been seen by human eyes. It is surrounded in the north and south by thick forest; copious amounts of balsam fir ensure that people think twice about trying to push their way through. Close to a third of this property is wetland, a mix of open water, swamp and dense cattails and reeds. In the southern half is large beaver pond untouched by human influence and it's glassy surface stands in contrast to the noisy highway less than a kilometer away. Because it is so difficult for humans to travel on most of this property, it is a haven for wildlife; large mammals in particular. 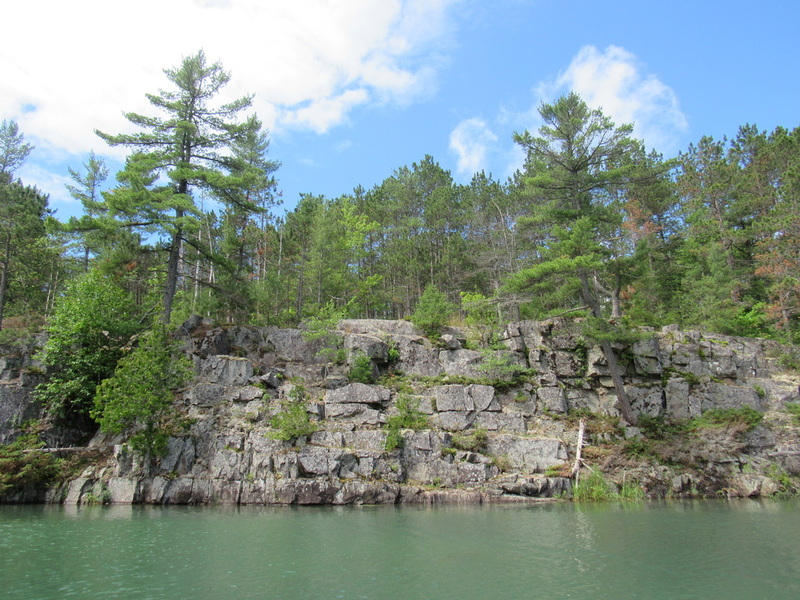 Few places like this remain so close to Lake Huron, making Ripple Rock an important corridor for the animals of the region. Just to the south of the Ripple Rock Preserve is the Hole in the Wall. 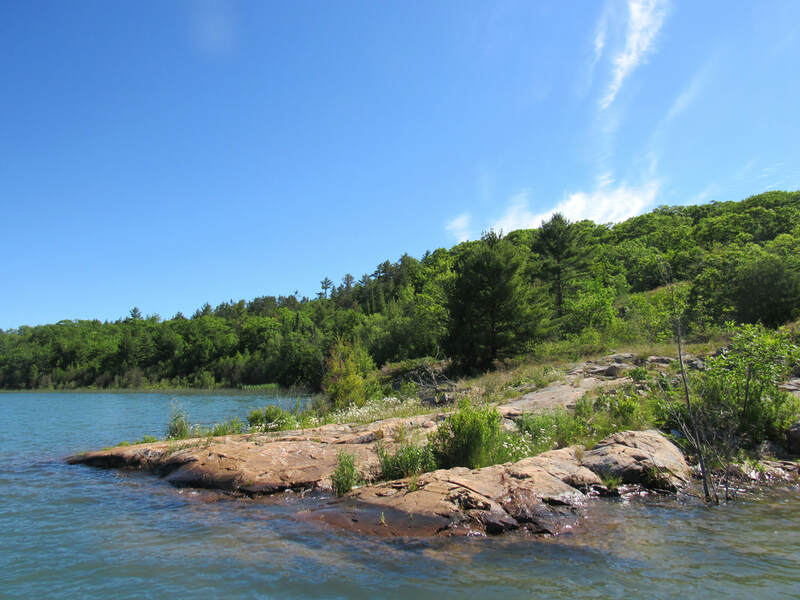 This property was placed under a conservation easement in 2014 and is named for the large pond it contains that connects to Lake Huron. This pond is surrounded on three sides by rock faces and cliffs, giving it the appearance of a hole dug into the landscape. Just above the pond is a wetland complex called Sunset Lake. This wetland is a beautiful mixture of marsh, bog and swamp and due to this unique mixture, it has the most diverse plant community of any of our wetlands. The Hole in the Wall is an important property as it connects to another large parcel of protected land in the Ripple Rock Preserve. This contributes to our goal of providing protected corridors for the area's wildlife. 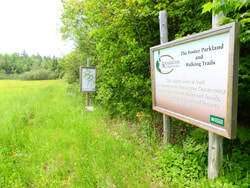 Donated by Maurice and Janet Foster in 2009, the Foster Parkland and Walking Trails is the only conservancy property with walking trails complimented by interpretive signs. 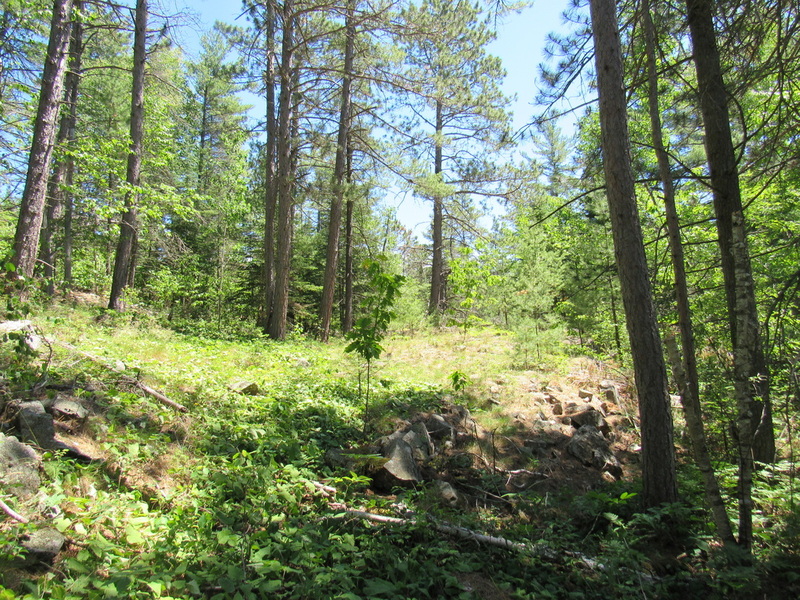 The trail system starts in the hay field on the eastern side of the property, proceeds into the mixed forest then splits into two branches that both end at hilltop lookouts. Along the way, the interpretive signs educate hikers about the local flora. This property has perhaps the most diverse forest ecosystem of any of the conservancy's property despite its small size. It has more recorded tree and shrub species than any other property. This rich forest habitat supports a great deal of wildlife; many species of songbirds, woodpeckers and birds of prey, nine species of amphibians (despite a lack of permanent water sources) and a large population of snowshoe hare and other rodents. This small, two acre island is located immediately east of Plummer Island, which is just south is Portlock Island in the St. Joseph Channel. The conservancy owns a conservation easement on Fishnet Island, which will protect it in perpetuity. Fishnet Island is home to many different bird species. Gulls, terns, cormorants and sandpipers are often seen using the shoreline. Songbirds and sparrows can be seen among the trees on the island. Despite its small size, there still is a diverse amount of plant species on the island. Pine trees are the predominant tree species on the property. A uniquely shaped, just under 9 acre property was donated to the Kensington Conservancy by the Lang Family. The property is located on Kensington Road, just west of Desbarats. It is important to protect this property as it contains a small portions of the Kensington Complex, one of the area's Provincially Significant Wetlands. Most of the property is a mature forest consisting of both deciduous and coniferous trees. This 93-acre property was purchased from the Boyer Family in 2016 so that it could be protected in perpetuity. The shoreline features a portion of the Kensington Complex, a Provincially Significant Wetland. A majority of the property is forested, making it an ideal home for many different species of wildlife and plants. The north end of the property has an open meadow, where many birds, insects and traveling mammals can easily be found. 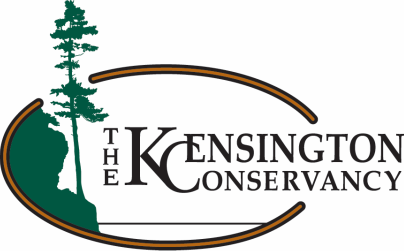 The Kensington Conservancy built their TKC Conservation Centre off Boyer Drive at the north end of the property.